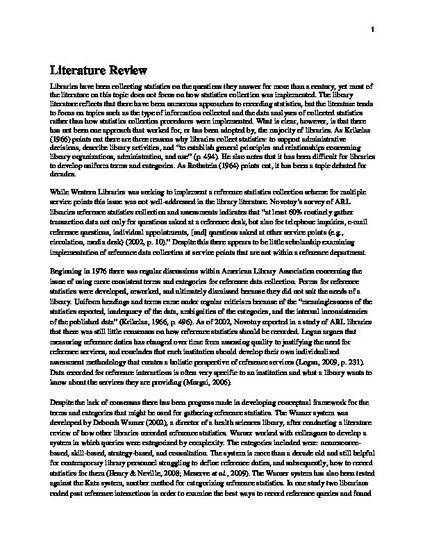 Purpose– The purpose of this article is to explore the process of implementing LibAnswers, a reference statistics collection and analysis software, at multiple service points in an academic library and to outline the benefits of the process. Design/methodology/approach– The article outlines the process used to implement a statistics software, including initial testing, development of categories and terms used to define the question types, and training of library staff. Findings– Implementing a statistics program at multiple service points takes flexibility and patience. The biggest challenge faced was developing common terms to define what each desk did and how the statistics would be used. While this process was useful for implementing the software, it also resulted in unexpected organizational development opportunity as it allowed others to see and better understand the functions of different service points. A total commitment to the new program developed through training and the experiences of those who had used LibAnswers during a test period. Practical implications– LibAnswers, and similar statistics collection programs, are fairly new applications in the library field. While they have multiple uses for expanding and simplifying the collection of reference statistics, this article demonstrates that while implementing statistics software across multiple service points can be difficult, the process of putting it in place can produce numerous benefits. Originality/value– Much has been written on the implementation of reference statistics, but little has been written in detail about developing a library-wide statistics program. This article fills some of the gaps.